Reunion drew more than 7,500 alumni, family members, and friends back to the Ithaca campus June 7-10. 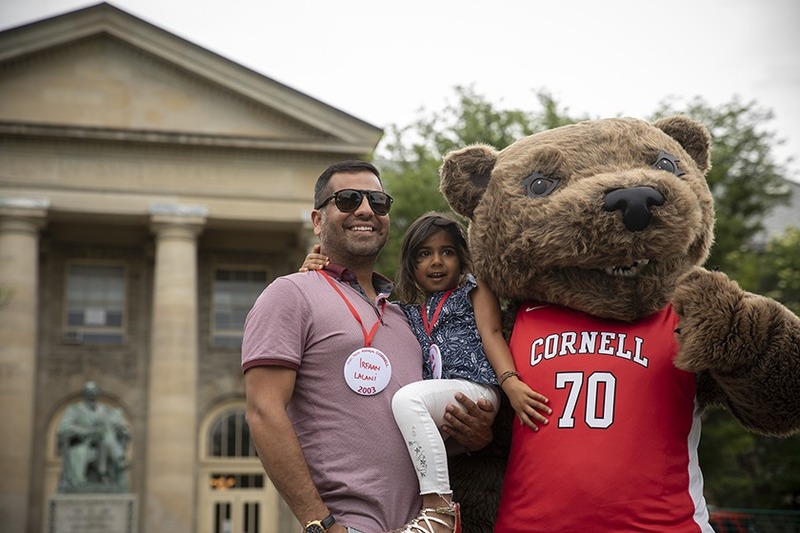 And with more than 5,400 alumni in attendance, 2018 was the most highly attended Reunion in Cornell’s history. “Cornellians are coming home in record-breaking numbers,” Paul Cashman ’73, president of the Cornell Association of Class Officers, said at Cornelliana Night, the raucous, song-filled culmination of the weekend. The Class of 1978 broke the record for 40th Reunion attendance, with 326 classmates. 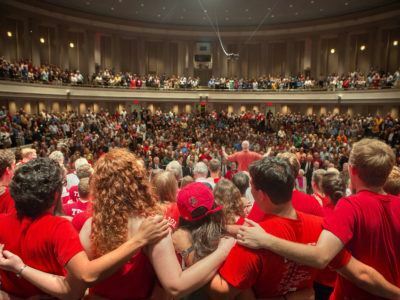 Reunion class fundraising campaigns totaled $89.7 million from 6,210 members, and the Classes of 1948, 1973, and 1988 set new campaign records. 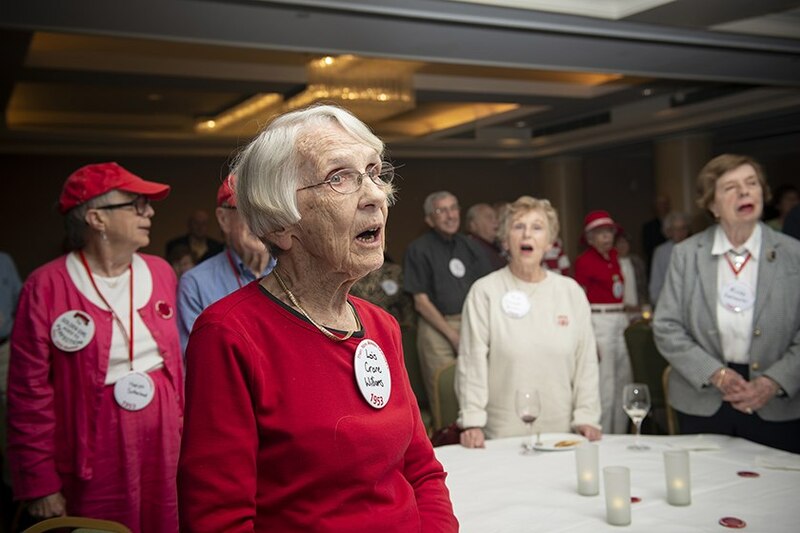 Five members of the Class of 1943 were present for their 75th Reunion, while two members from the Class of 1938 joined Cornelliana Night via live stream. 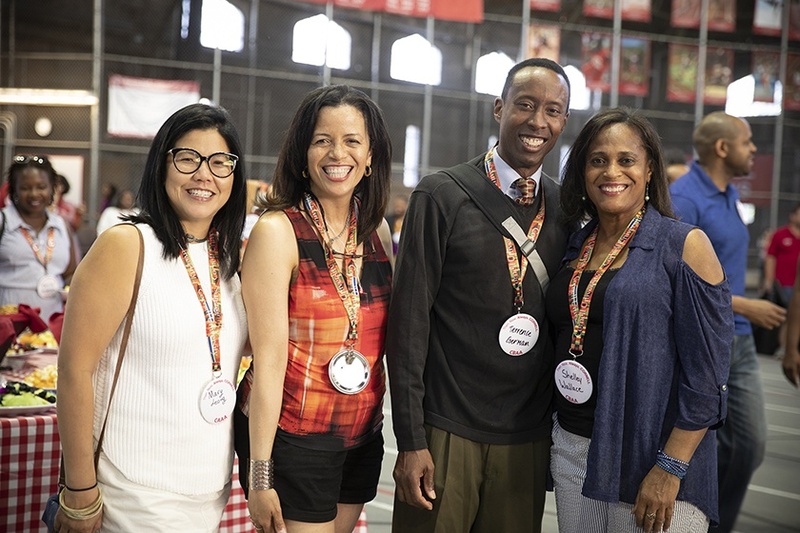 In addition to reuniting classes, four of Cornell’s diverse alumni associations held Reunions, registering nearly 500 alumni and family members for the Cornell Asian Alumni Association (CAAA), Cornell Black Alumni Association (CBAA), Cornell Latino Alumni Association (CLAA), and Cornell University Gay and Lesbian Alumni (CUGALA). The tradition of coming back at all stages of alumni life was seen clearly at the “Spirit of ’31–Passing It Forward” ceremony on Thursday evening. Watching the ceremony, Jane Vanneman ’68, on campus for her 50th Reunion, recalled the Big Red enthusiasm that William Vanneman ’31, her father-in-law and one of the originators of “Passing It Forward,” brought to Reunion. In the Big Red spirit of friendship, Shigeo Kondo ’43, president of the most senior class on campus for Reunion 2018, presented the Reunion banner to Ankur Bajaj ’13 and James Feld ’13, with his best wishes for their fifth Reunion and many more to come. While looking up to elder classes for inspiration, Bajaj and his classmates improvised on Reunion traditions: To continue the fun of the popular tent parties on the Arts Quad, they teamed up with the Classes of 1998, 2003, and 2008 to host a “Y2K”-themed dance party that started midnight Saturday and lasted until 3 a.m. Sunday. During Reunion 2018, many tried-and-true traditions took on new dimensions. Reunions of the diversity alumni associations, coordinated for the first time, added rich educational opportunities, lively discussion, and collaboration. 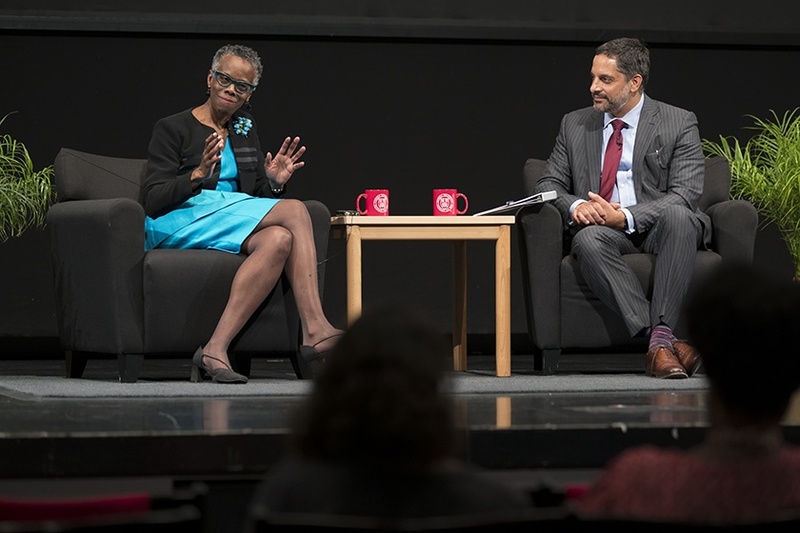 At the Olin Lecture on Friday, Justice Debra A. James ’75, JD ’78 continued the themes of education, history, and social justice raised by an earlier screening and discussion of the documentary Agents of Change, sponsored by CBAA and the Class of 1973, which chronicles black students’ activism at Cornell that led to the Willard Straight Hall occupation in 1969. 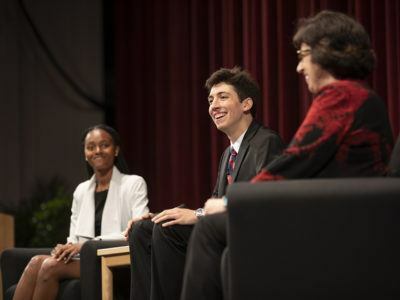 President Martha E. Pollack approached her Reunion presentation with a new format, conversing with two young Cornellians, student Troy Anderson ’19 and recent graduate Maiquela Richards ’18. 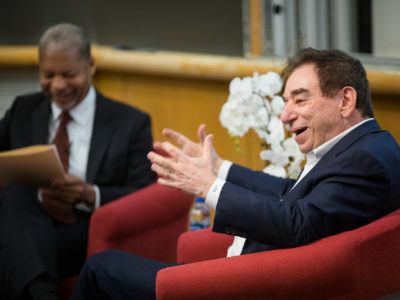 At Cornell, innovation has long been a tradition, and many Reunion events and activities showcased advances in the sciences, technology, and humanities. 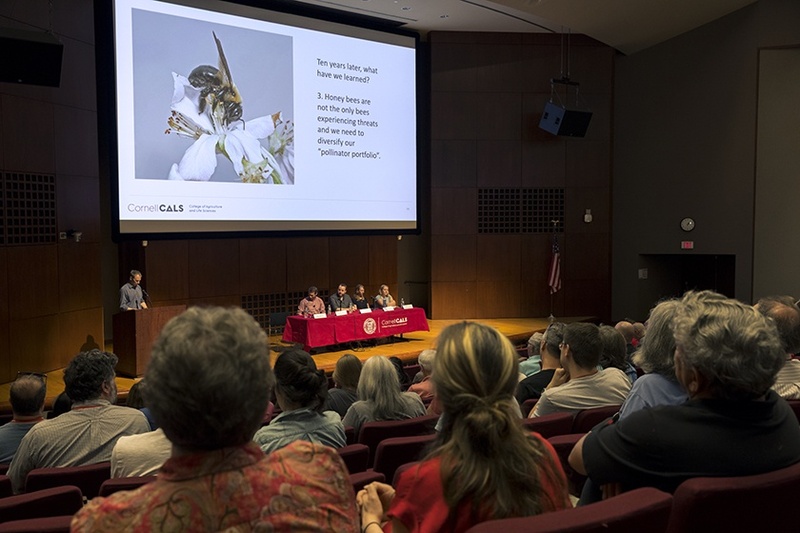 The College of Agriculture and Life Sciences (CALS) presented exhibits and events around the history and future of the cider industry. The College of Human Ecology hosted a talk and exhibit focused on fashion and the female form. The College of Arts and Sciences collaborated with the Cornell University Library (CUL) in programming about witchcraft. “Cornell’s witchcraft collection is one of the most important in the world,” Kathleen Long, professor of French and Francophone and comparative literature, said in her lecture, “Wicked Women: Witchcraft and the Debate over Women’s Rights in Early Modern Europe.” Presented in conjunction with CUL’s exhibit The World Bewitch’d: Visions of Witchcraft from the Cornell Collections, the talk filled Hollis E. Cornell Auditorium with alumni eager to participate and learn. For German and other first-time Reunion attendees, the simple act of re-entering the Ithaca campus after decades away was overwhelming and inspiring. To see old friends and to introduce family members to the university she loves, Nowillo organized a group of alumnae from several states to meet up at Reunion. 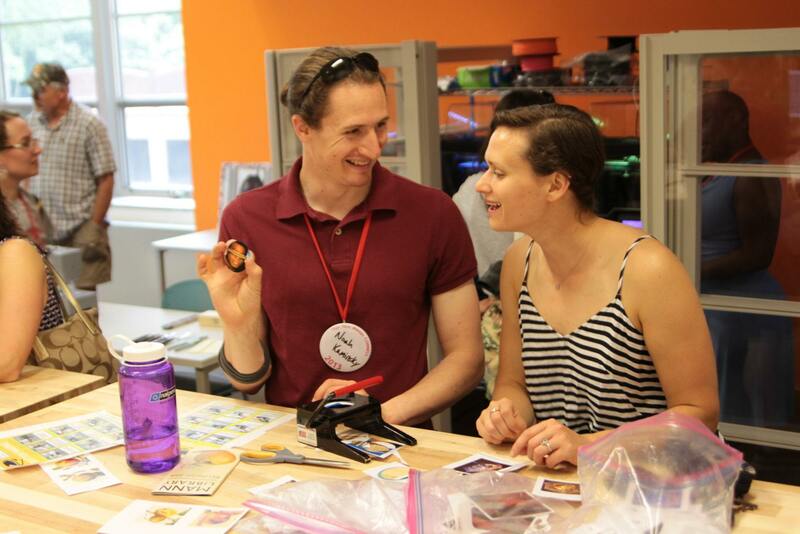 On Saturday morning, she, her friends, and their kids explored the mannUfactory maker space at Mann Library. Her son, Sebastian Nogueira, 11, said he especially enjoyed seeing the Fuertes Observatory and the astronomy department and attending a lecture on sustainability. For Amanda Quain ’13, attending her fifth Reunion continued Cornell traditions she and her friends—members of the Big Red Bands—established when they were students, such as picnicking in the Cornell Botanic Gardens before playing a concert at Saturday’s “Fun in the Sun” activities. For Jim White ’39, the most senior alumnus on campus and a former professor, Reunion was an opportunity to connect with generations of Cornellians he taught in CALS, the School of Hotel Administration, and the College of Veterinary Medicine. 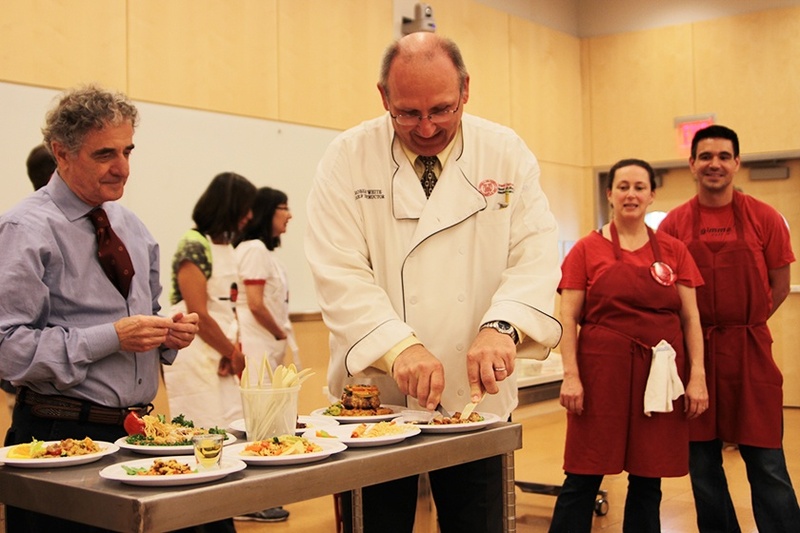 “I really enjoy being able to talk to students,” White said. The weekend also witnessed once-in-a-lifetime moments. At least three couples got engaged over the weekend. And on Saturday, the Reunion crowd shared in a triumphant moment for the incoming president of the Class of 1993, Mike McMahon ’93, and his wife, veterinarian Natanya Nieman, when Justify—a horse under Nieman’s care and associated with McMahon’s business—won the Belmont Stakes. Mike and Natanya had left Reunion with their two kids early Saturday morning to catch the race and, as fate would have it, join the winner’s circle.